There is no disputing Tiger Woods' legacy. He is one of a few athletes who had careers so legendary that they need no introduction. He has been a mainstay in the sport of golf for three decades. Sure, he's had his missteps – but who hasn't, especially those in the public eye. His personal life has no bearing on his professional life and what he has accomplished. Tiger Woods is well on his way to becoming the first billionaire-golfer. With a net worth of $800 million, he is one of the wealthiest athletes of all time and the wealthiest golfer in the world. At 43, Woods has decades to bring his net worth into the 10-figure range. Eldrick "Tiger" Woods was born in Cypress, California in 1975. He was a child golf prodigy. He started playing the game before he turned two years old. He had help – his dad Earl was a pretty amazing amateur golfer. He won the Junior World Championships when he was eight years old – oh, and he was playing in the 9-10 year age group, the youngest available. He went on to win that championship six times, including four consecutive wins from 1988 to 1991. Woods attended Stanford University on a golf scholarship. In 1995, he successfully defended his U.S. Amateur title and was voted Pac-10 Player of the Year, NCAA First Team All-American, and Stanford's Male Freshman of the Year. In 1995, Woods played in his first PGA Tour major, the Masters Tournament. The 19-year-old golf prodigy tied for 41st and was the only amateur to make the cut. At age 20 in 1996, he became the first golfer to win three consecutive U.S. Amateur titles and won the NCAA individual golf championship. Of course, all of that came to a crashing end – literally. On Thanksgiving 2009 Woods ran over a fire hydrant in his Cadillac Escalade in the middle of the night and that was the beginning of one of the biggest sports scandals of our time. Woods' wife at the time, Elin Nordegren, had found out that her husband of five years and the father of her two children had a series of extra marital affairs. She was furious and chased Woods from their home, resulting in his fender bender. 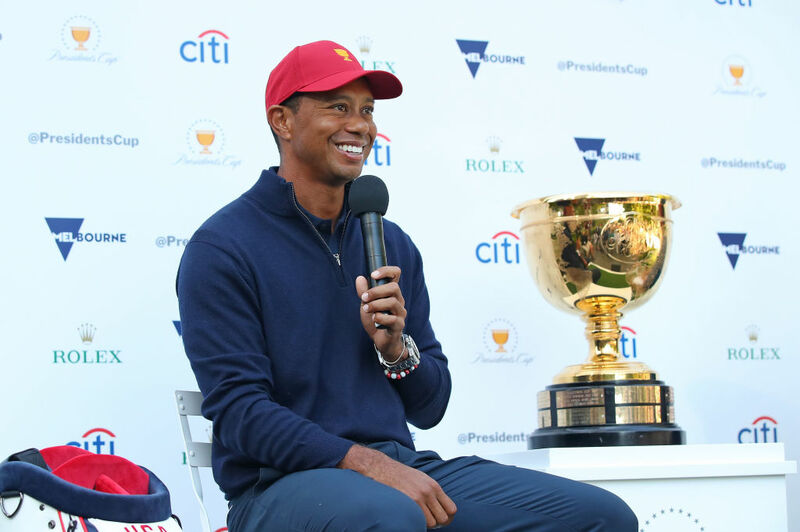 Nonetheless, Woods brought in $43.3 million in 2018 – the bulk of it from course design fees and endorsements. His lucrative endorsement deals with Nike, Monster Energy, Rolex, Upper Deck, Bridgestone Golf and other sponsors brought in $42 million. "Only" $1.3 million of his $43.3 million came from golf. Less than 10% of the $1.5 billion Woods has made since turning pro comes from golf prize money. Woods has an advantage as a golfer: The PGA Tour pension plan is amongst the best in sports. Woods' pension is lucrative. It is based on FedEx Cup bonus money and a cuts-made bonus system. There were reports of Woods' pension climbing over the $1 billion mark back when he was in his heyday. That may have been true for a hot second, but since then the stock market tanked, PGA revenue is down, and more of the FedEx Cup bonus money was being paid up front. With a net worth of $800 million plus his lucrative pension, it isn't hard to already call Tiger Woods the first billionaire golfer – even if he can't access that money until he's 65, it is still his!